Before we dive into the types of above ground pools, you might want to consider an in-ground pool. 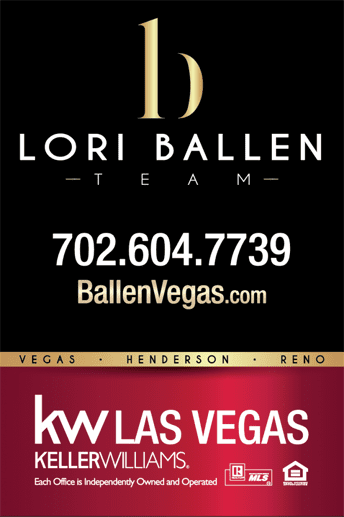 If you would like to consider buying a Las Vegas home for sale with a pool, check out these great listings. There’s nothing like stepping out into your backyard and enjoying a private pool. In ground, pools are an option, but these can prove especially pricey, not to mention you need to use a professional service capable of installing the pool for you. Above ground pools are less expensive and, should you decide to remove it at some point, you can do so. There are a handful of different above ground pool options, so if you’re interested in an above ground option, make sure to consider a variety styles. If you’re looking at an above ground pool, it should at least start here. A kiddie pool is only a good option if you have a small child or a small pet looking to cool off during the summer. With plastic and rubber models, you can purchase this kind of a pool for only a few dollars. Even if you already have a pool, when you want something for small children, look into this option until they grow a bit more. You can purchase this kind of pool throughout the warmer months just about anywhere, ranging from Target and Walmart to Amazon or elsewhere that sells outdoor supplies. When it comes to simple above ground pools, it is hard to beat this one. The pool is inflatable, so after pumping the pool up with air, you’re ready to go. The design isn’t just a plastic or rubber material either. It uses a combination laminate and PVC side, so it is rather rugged. Now, it still does leave you open to potential damage and tears, so keep this in mind. However, the pool comes with a filter and pool ladder. The drain plug can connect with a garden house, so when it comes time to drain the pool you can easily direct the water. There are a variety of size options, ranging from 12 feet by 30 inches (deep) to 18 feet by 48 inches. A downside to this pool, similar to many other above ground pools, is the fact that before setting up the pool, the ground must be level or you may sustain some frame issues. You can purchase the pool online directly from Intex, through sites like Amazon, or even some larger retail outlets such as Target and Walmart. A metal frame above ground pool provides a sturdier installation and design over the inflatable pool. The more solid foundation allows the pool to be larger and offer more room. It does take longer to set up, but it will not put the pool at risk of any leaks or tears. Pool sizes can vary in this category, including some options at 12 feet by 30 inches to 24 feet by 52 inches. This kind of pool is much better in locations where there are snowy winters (instead of the inflatable design). If drained, it should make it through without any damage. Plus, the PVC material used withing the lining of the pool can withstand dog claws so that the family pet can swim in the pool. The downside to this particular kind of pool is the ground must be leveled out before setting up the pool. Also, the filter needs to connect to the house or another power source to keep itself clean (especially for larger pools). For these larger style pools, you can purchase directly from the company website, through Amazon and many local pool shops. When you want something larger, and you have the room to utilize, a Heritage above ground pool is the way to go. These pools can prove enormous. Experts craft the pool interior from a vinyl lining, the same lining used with in-ground pools, making it feel more natural. Depending on the shape of the particular Heritage pool you go with you can even swim laps. You also don’t need to remove the pool during the winter months. You just need to drain the water and winterize it. These kinds of pools are sturdy and come with a stable structure. It does take longer to install, but the sturdy design of the pool makes it perfect for laps and pool parties. Some even come with sand filters, which work well at any size. The only real downside, when comparing to other above ground pools, is it is harder to install. This kind of pool is available at the Heritage website and specialty pool sales stores as well as Amazon. Shop Las Vegas Homes For Sale with a Pool.